If you've been paying attention to Raiden's bodysuits (I, apparently, have not), you might notice that Raiden has a different outfit in Metal Gear Rising. In a Konami stage event, Metal Gear creator Hideo Kojima explained that within Konami, the developers refer to the three different versions of Raiden in different ways. So, the Raiden in Metal Gear Solid 2 is called "Old Raiden". The Raiden in MGS4 is called "White Raiden". And the latest Raiden? He is "Black Raiden." 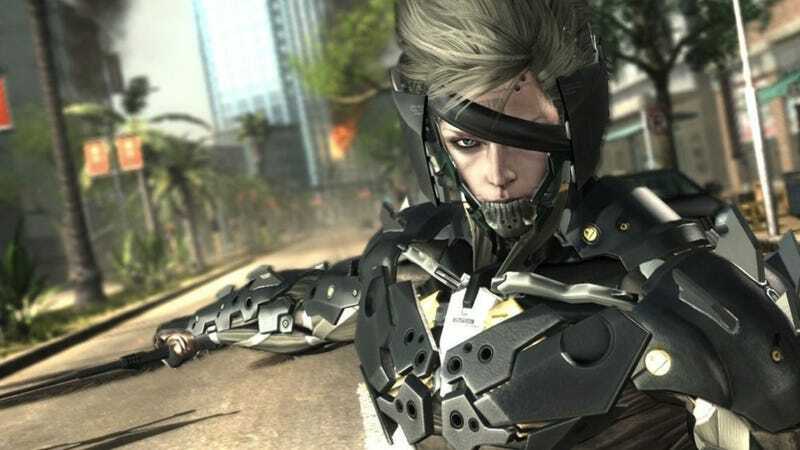 Kojima pointed out that Raiden will be defeated by the character Samuel Rodrigues in Metal Gear Rising. Then, he will get a new body and be reborn as "Black Raiden". Noted! "After he becomes Black Raiden," Kojima said, "then his real battle begins."